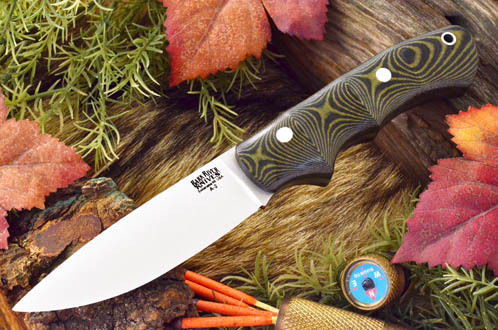 The New Bark River Trakker Companion is the perfect field knife to be used in conjunction with our larger Trakker. The Trakker is our version of the Dave Beck Tracker made for Tom Brown. In his writings, Mr. Brown recommends a smaller knife to be used with the large survival tool. We have reduced the size of our Trakker handle to perfectly fit in the hand for general camp and hunting chores while still maintaining the look and feel of the larger knife.